For fierce fashion and trend-led looks, Pretty Little Thing online is the place to shop. You could bag the hottest wardrobe must-haves and earn cashback on your Pretty Little Thing buys, just by following the links on this page. So take a look at the ways you could shop at PrettyLittleThing.com and get a little extra out of your shopping with Quidco. 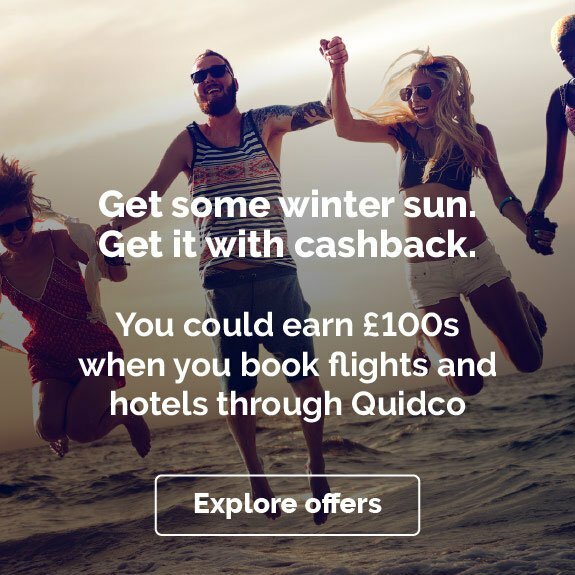 Want to know how to make the most of your Pretty Little Thing cashback? Read on for our tips and inspiration to help you get started. Why shop with Pretty Little Thing? Fashion doesn’t get much fresher than this. Pretty Little Thing’s clothing and accessories take inspiration from the catwalk, the hottest celebs and your favourite influencers, to help you stay on top of trends and to create your own. You’ll never be stuck for something to wear again, whatever the occasion – whether it’s a big night out with your best girls or a getaway in the sun. And you’ll find all your everyday wardrobe essentials at an affordable price too. PrettyLittleThing.com is a go-to site for UK shoppers. Since they launched in 2012, they’ve been making fast fashion extra accessible, no matter what your budget. The brand is part of the boohoo group, and their huge selection of styles has seen Pretty Little Thing build up an impressive customer base of over one million. 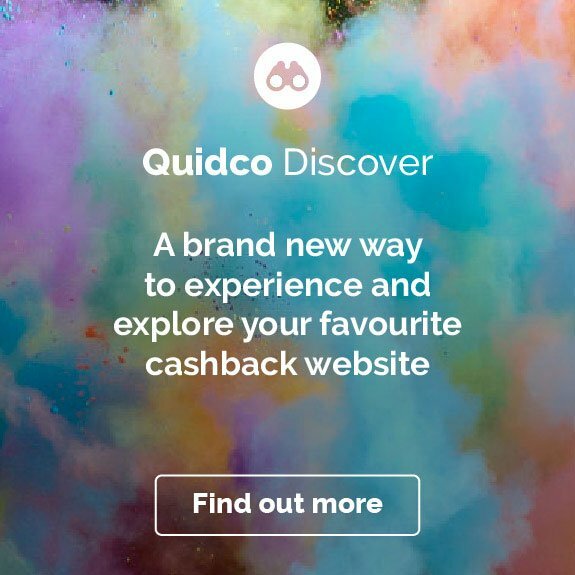 With products dropped daily, Pretty Little Thing always has something new to discover – just take a look at what you could buy and earn cashback on with Quidco. Need a shirt dress for work, or want that statement maxi dress to make an entrance at a big event? Pretty Little Thing has got you covered. There’s a style to suit every occasion – from slinky bodycon dresses for a night out to super cute skater dresses for summer and flattering wrap dresses in a variety of lengths. You’ll find classic LBDs to laid-back T-shirt dresses that’ll take you from a day out to after dark. And with fresh new dresses added regularly, you can keep up with the season’s latest looks. From jeans to jackets, you’ll find all your denim essentials at Pretty Little Thing. You could go relaxed with a pair of ripped jeans and a simple T-shirt for an everyday look. Or go double denim with a classic denim jacket over jeans. For summer, you can stay cool with denim shorts and a denim skirt packed into your suitcase, and channel chilled out vibes with a denim dress or a pinafore for a staycation. There’s a huge selection of jean cuts too, so you can mix and match your colours as well as switching up your style. Why not keep it casual with a pair of mom jeans and a crop top, or how about bright white skinny jeans for a new summery look? Now you’ve got your jeans sorted, it’s time to move on to tops. Pretty Little Thing has everything you need from day-to-day tops to party essentials. Be the business in a brand new shirt for work, or top off your going out outfit with a new crop top or lace top. You could keep it simple with a classic cami and a pair of jeans. And to make a statement, why not step out in style in a choker top or a mesh top? If you don’t know what style to go for but know what palette you want to work with, why not search all tops by colour, where you could pick up a versatile black crop top or go bold in gold to add a bit of glitz to your wardrobe. Shoes complete an outfit – heels can make a day outfit night-out ready, and the right pair of sandals can get your wardrobe geared up for summer. Pretty Little Thing has a huge range of affordable shoes for every occasion. You could go bold and bright with a pair of high heels to make your shoes the focal point of your outfit. For a trip away in the sun, don’t forget to pack your sliders and flat sandals. And because no wardrobe should be without a trusty pair of boots, you’ll find everything from versatile ankle boots to chunky biker boots and over the knee styles to rock on a night out. Pretty Little Thing also has a great selection of trainers too – perfect for those days when you just want to chill, or for when you want to hit the gym and tackle a mean workout. Pretty Little Thing’s delivery options can get your new styles to you in a speedy and secure way. You can opt for next day delivery by selecting UK Next Day, or you can choose the UK Saver delivery option if you can wait a few days for your parcel. Once you’ve purchased your items, you can track your order to see how your delivery is doing. To see the full range of delivery options and to find out more about tracking, just visit Pretty Little Thing’s Delivery page. You’ll also find really handy FAQs about the delivery options, so you can pick the one that works best for you. 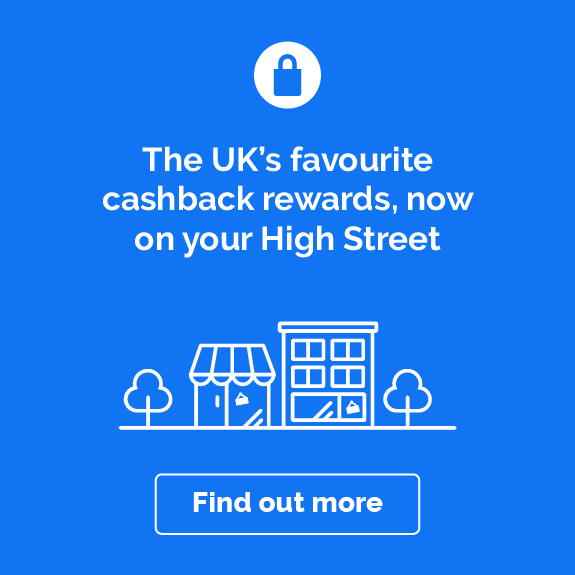 Need some extra inspiration to get earning cashback on your Pretty Little Thing shop? Here are a few ideas to get you started. Nights out come in all kinds of styles – and so do dresses from Pretty Little Thing. So if you’ve got a big girls’ night on the cards, or are keeping it sophisticated with a dinner date, you’ll find the dress for you. How about an elegant lace dress or a silky satin-effect dress for a meal out with someone special? Add glitz to girls’ night with a stunning sequin dress. Or why not go glam but edgy with a choker dress or mesh dress? And if you’re not sure what style to choose but know you want to make your outfit pop, view all dresses and filter by colour – you could find everything from red dresses in a Bardot style to pink bandeau dresses. For those nights where you don’t know where to start when picking out a dress, why not click Pretty Little Thing’s Going Out Dresses collection to get inspired and find the perfect look for you? Ready to head somewhere warmer? Check out the Pretty Little Thing Holiday Shop. You’ll find all your poolside essentials and beachwear, from bikinis to beach dresses, plus those all-important sunglasses so you can step off the plane in style. You can also search by swimwear, where you can bag a statement cut out swimsuit or shop for high-waisted bikini bottoms and printed bikini tops. There’s also a selection of cute co-ords for an effortless evening out look. Plus, you can shop for all those little extras and accessories to give your holiday wardrobe a lift. When you need those finishing touches for your outfit, Pretty Little Thing has a gorgeous selection of jewellery. From statement necklaces to rings and earrings to body chains, you’ll find budget-friendly pieces to make your look pop. You can shop for festival-friendly accessories, like body jewellery and pendants. Or for a red carpet-ready look, add some serious sparkle with a glittery diamante choker. You can pick up the perfect clutch bag to complete your night out outfit at Pretty Little Thing. Or how about shopping for that everyday oversized handbag to stash everything from your highlighter to your headphones? And if you’re heading to a festival, you can keep all your essentials close by in a retro-look bum bag. When winter rolls around, make sure you’re prepared with coats and jackets from Pretty Little Thing. You could keep it casual on a chilly day with a bomber jacket. Or to give your outfit that luxurious look, why not step out in a faux fur coat? For those extra frosty days, keep super cosy with fluffy teddy coat. And if you love layering, you could bag a classic biker jacket in a whole host of colours, or there’s a great selection of duster coats and macs to choose from too. If you’ve never shopped with Pretty Little Thing before, here are some commonly asked questions to clear up any queries you might have. Rather than displaying a customer service number for all queries, you can contact Pretty Little Thing’s team via email. Or if you visit their Contact Us page, you can select from a list of suggested queries and enter your order number, so you get the most relevant response to your question. Just visit their Contact Us page to find out more. Where is Pretty Little Thing located? Pretty Little Thing is a UK company with offices in Manchester, but it has also expanded overseas, selling in markets including Australia, the US and France. Can I return my items to Pretty Little Thing? Pretty Little Thing offers free returns. Should you need to send something back, there are easy to follow instructions on their Returns page. So depending on which postage method you selected for your purchases, just complete the corresponding steps on their website to return your unwanted items. How can I track my Pretty Little Thing order? You can track orders online at PrettyLittleThing.com. Just click Track My Order then enter your order number, which you’ll have received when your order was confirmed, then you can start tracking the process of your purchases to see how long delivery will take. Are Pretty Little Thing returns free? Pretty Little Thing offers free returns. Check their Returns page to read their returns policy and to see how you can send back any unwanted items. Shop for the latest fashion looks at Pretty Little Thing and make big savings with our voucher codes and discount codes. If you’re looking to find that perfect LBD for your next night out, or you need some new super skinny jeans, head straight to Pretty Little Thing’s website and shop some of the hottest new looks and trends out there. Save even more with our special offers and discount codes that we post from time to time, so keep checking back on this page to see if any have been posted. 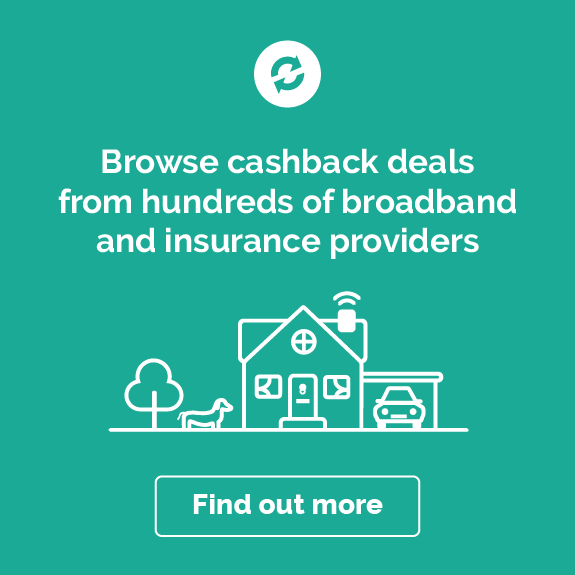 If you want to use cashback and a voucher code at the same time, make sure you only use the ones posted on this page, as any other voucher codes might invalidate your cashback. 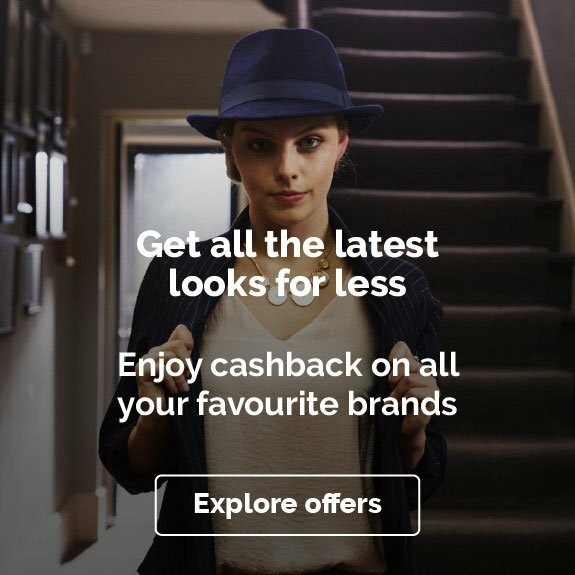 Looking for more great cashback deals on fashion must-haves? Check out our deals with boohoo, Missguided, Forever 21 and New Look.